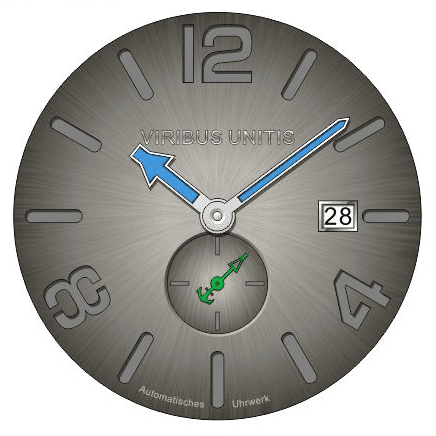 Our watch IR87 was named after the Styrian regiment, the k.u.k. Infantry Regiment “Freiherr von Succovaty – Baron of Succovaty” No 87. The regiment existed from 1883 until the collapse of the monarchy in 1918 and had battalions in Pola (Pula) and Cilli. The facing color “seagreen” finds itself in the color of the small seconds hand and the color ring in the crown. The number of the regiment “IR87” finds itself engraved in the caseback.